The word ‘usher’ could mean many things. To some it would be a hot American singer, songwriter, dancer and actor; to others it is a term often used to welcome the new year; and to most it means to have the responsibility of guiding people to their seats during an event, such as a wedding. 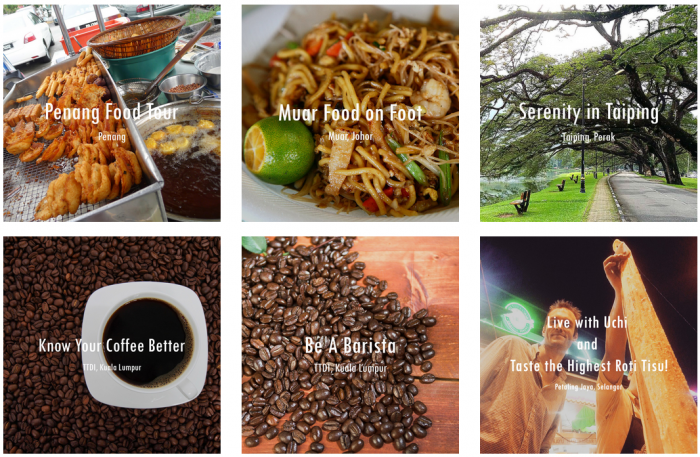 Malaysian startup LocalUsher is one that uses the word from a travelling perspective. Founded by two female wanderlusts named Sabrina Cheng and Hui Lin Ng, LocalUsher is like the Airbnb for travelling experiences. 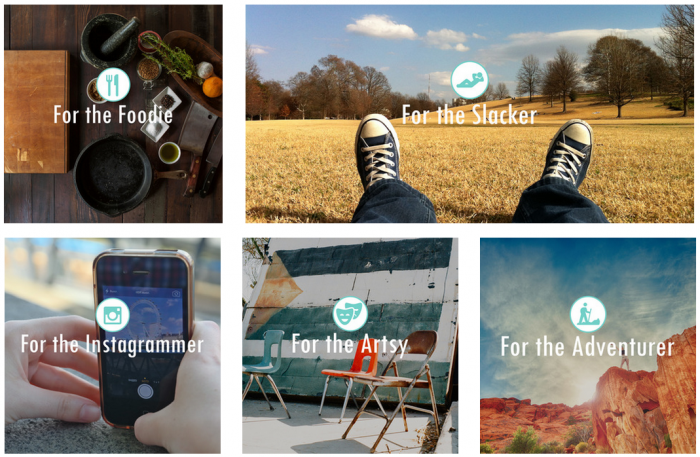 Users can use LocalUsher as a platform for urbanites to discover and book interesting experiences around them. The website contains something for everyone—from glamping, staying in a boathouse, food hunting tours—LocalUsher hopes to connect locals with travellers who are seeking to have a one-of-a-kind travel experience. 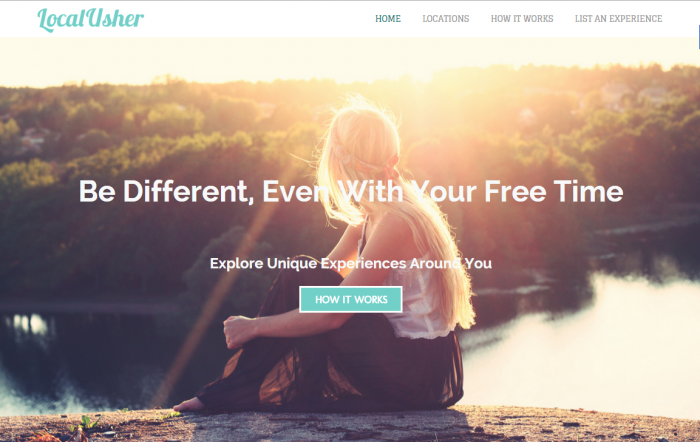 Essentially, LocalUsher aims to usher travellers to new and exciting experiences. As you can see, their slogan is “explore unique experiences around you”. Users are able to look for different experiences, ranging from indoor to outdoor options. There are three ways to search for a holiday that is to your liking—popular experiences, personality, and locations. Searching for a travel itinerary based on popular favourites and location is the norm so there is nothing extraordinary about that, but searching based on personality is something that is less common. No one traveller is the same. If you’ve travelled in a group in the past, this is something that you would have noticed. Everyone has different needs, expectations, budget, interests, and travel pace. That’s why it makes perfect sense to search for a travel plan based on individual personality. Thus, if you are a slacker and you prefer holidays which are more laid back and relaxed, then you can gather friends who are also ‘slackers’ by nature to join you on your travels. 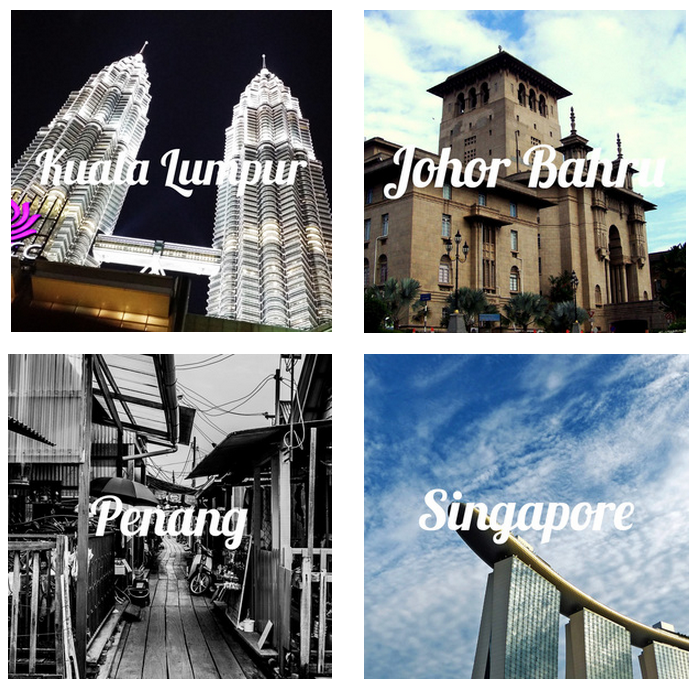 For people who prefer to search for travel experienced based on location, LocalUsher currently offers experiences from Kuala Lumpur, Penang, Johor Bahru, and Singapore. It was confusing at first to see travel experiences in Pahang and Perak listed in the Kuala Lumpur category, but a quick call to co-founder Sabrina solved that. She explained that the locations listed are for users who stay in that area but would like to visit other nearby states for a getaway. So not all experiences listed in the Kuala Lumpur category are all in Kuala Lumpur since Pahang and Perak are located near enough for a weekend getaway. She also said that they plan to increase the number of personalities to include people who are into history and culture, and more. That is something I’m definitely looking forward to because there are still plenty of personality types to add to the site. Besides that, sometimes a laid back person might prefer to do something more adventurous and vice versa, so with more personalities listed, users will have various options to choose from. The experiences listed on LocalUsher have one common theme and that is they all appeal to urbanites and city-dwellers who don’t want to settle with an ordinary life, rather, they want to have non-typical experiences to fuel their zeal for life. If you prefer to do the ushering instead of being ushered, you can offer your services as a ‘tour guide’ and list an experience on the site for free. LocalUsher users can hire you for your expertise to bring them to enjoy local experiences and if you get 3 successful recommendations, LocalUsher will grant you with a token of appreciation—you get to bring a friend along with you for free to an experience of your choice. The experience that you choose to list could be something personal. If you are a barista, you can offer to give someone the experience of being a barista for a day; if you are a hiker, you can bring travellers to scale the hills and mountains of the city; or if you are a food expert, you can bring travellers to the hidden gems scattered about the back alleys. The two ladies leading the community of ushers, Sabrina and Hui Lin, both studied electrical engineering in the University of Illinois Urbana-Champaign. Sabrina now works as the Business Developer for LocalUsher while Hui Lin designs the user interface and user experience. Being avid travellers themselves (they just got back from Tibet last month), they like to think that they’re well-positioned to discover unique experiences for city dwellers. “Ever since we started working on LocalUsher, we realised there are so many hidden gems around us laying undiscovered! Ultimately, we want people to think of LocalUsher when they want to skip their routines and do something unusual in leisure time,” the LocalUsher duo said. For an Airbnb accommodation to get attention from travellers and be in high demand, the owner has to provide a room/house that is unique and special. Travellers want to pay for something that is memorable, and that is exactly the same challenge for LocalUsher. To ensure that travellers are kept interested and to retain them as returning LocalUsher users, the experiences listed should also be unique, special, and memorable. If the experience is too predictable and common, then what’s stopping travellers to search for travel plans via Google directly instead of on LocalUsher? A quick look through on the experiences listed has got me hooked, so LocalUsher is off to a good start. And since I am a rather picky traveller, I can easily look for travel experiences that suit my personality. A night on a boathouse or a treehouse? Perfect getaway. 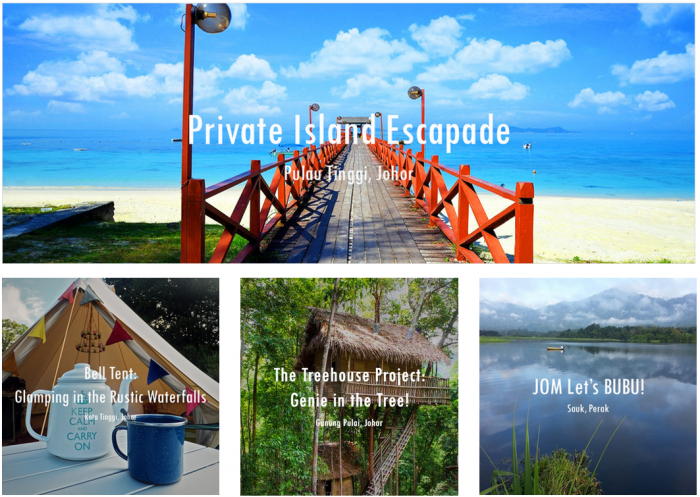 Private island escapade? Yes, please. All images are from LocalUsher’s website. Check them out for more interesting local experiences or list an experience for free here.